Don't Google It - . For 45 minutes today, I was quietly freaking out. This afternoon I felt something strange on the inside of my cheek. I looked at it in the mirror, a dark brown spot with red edges. I had never seen anything like it in my mouth before. Then I did the thing that you should never do: I Googled it. All bad news. The freaking out started. Worse, I Google image searched it. Then I was freaking out and also in need of getting my eyeballs dry-cleaned after seeing every repulsive bad thing that can happen inside a human mouth. I called my dentist and was told to come in immediately. The freaking out then went into overdrive. I was calm on the outside and three months to live prognosis on the inside. I know sometimes I can be dramatic, but really, that Google search of doom. When I arrived at the dentist's office, she lightly chided me for not making an appointment in the past few months to get my teeth cleaned. I smiled and nodded, she didn't know the horror she was about to witness. She put on her magnifying glasses with the light on them. I held my breath, opened my mouth, and waited. "That's a blood blister. Nothing to worry about. Do you remember biting your cheek? The swelling will likely go down by the end of the day. Don't forget to make your cleaning appointment on the way out." I sat in the dentist chair, relief washing over me. Then the part where I felt simultaneously grateful and ridiculous happened. I was fine. Super fine. "Nothing to worry about." The freaking out subsided. This was certainly no brush with death, just a brush with over-reaction mixed with hypochondriacal tendencies. 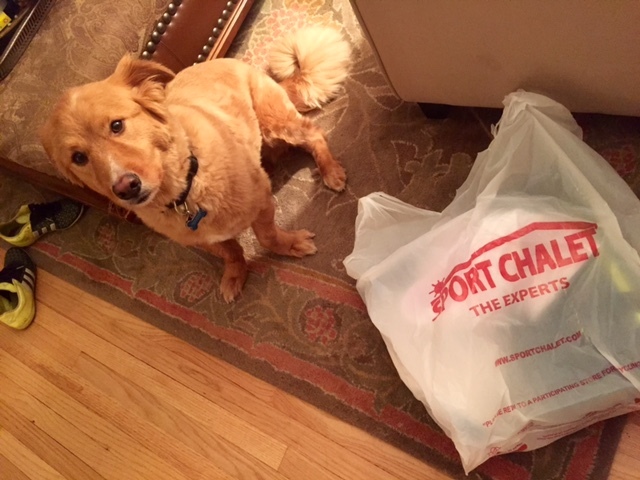 I immediately drove to Sports Chalet and celebrated life by spending too much money on sports equipment for Bob that he doesn't need. Dr. Google is a damn quack. I think we are the same age, and before Google, I bet you would have thought 'I probably bit the inside of my cheek' and went on with the rest of your day. Technology these days is a scary thing, and not the best thing. Remember the days of no cell phones? I do. It was freeing. There is no going back to that now. Kind of sad. I read this post while simultaneously probing the inside of my mouth with my tongue. I'll see you in Sports Chalet around four o' clock. I'm with anonymous on this one. We now know too much, but of the wrong things! I noticed the post title on a sidebar of a blog. I'm so involved with Google - my digital partner. Your title perked my curiosity. Maybe medical problems are too complex for a quick search and those trained medical people are still needed. Oh and thanks for NOT showing your mouth sore. Weird how people share disgusting pictures with the world. I don't even want to look at it - I wouldn't make you guys look too!